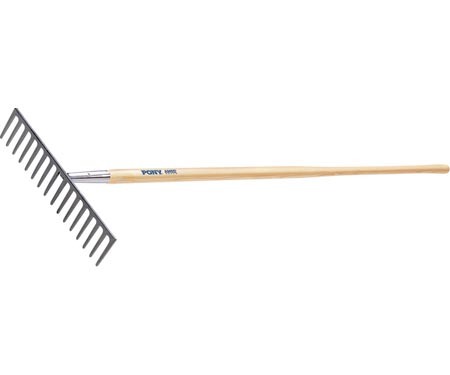 The Jackson J-450 level head rake is a heavy-duty road rake. The premium handle is 66 In. long seal-coated northern ash handle. Chrome ferrule and forged steel head for added strength and durability.